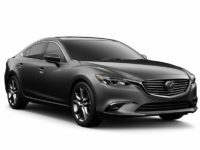 If you’re in the market for a quality Mazda vehicle, you need to check out Car Leasing Brooklyn’s amazing Mazda leasing deals! 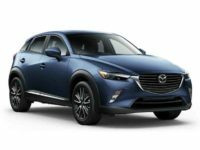 Car Leasing Brooklyn has the lowest monthly lease rates and the widest selection of Mazda automobiles to be found anywhere in New York – like the MX-5 Miata Convertible, the CX-3 SUV, or the Mazda2 Hatchback! 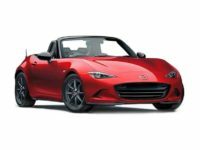 Any auto that is currently being manufactured by Mazda is available for lease at Car Leasing Brooklyn, and our close-knit relationships with Mazda dealers throughout the state ensure that we can source not just the model you want, but with the factory options and even the color that you specify! And as our all-electronic Mazda leasing system allows us to cut down on overhead costs in ways that traditional leasing agencies simply can’t match, we also guarantee that you won’t find a better price on a Mazda lease anywhere else! Give us a chance to show you how good Mazda auto leasing can be – call Car Leasing Brooklyn at 718-307-5639, or visit our Mazda inventory page today! 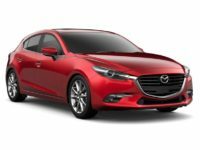 A Selection of Mazda Auto Lease Deals at Car Leasing Brooklyn! Price and selection are two of the ways that Car Leasing Brooklyn is revolutionizing the auto leasing industry. Where other leasing agencies have a limited amount of space in which to park their fleet of vehicles for lease, and therefore have not only a limited selection of cars, but also generally have to specialize in two or three vehicle manufacturers, Car Leasing Brooklyn does everything via our website, meaning that there are no limitations on the number of makes or models that we can offer you! We leverage our tight connections with Mazda and other dealerships throughout the state of New York to bring you an unparalleled selection of cars, from which you simply choose the vehicle you want and the options you prefer! And when it comes to cost, nobody can beat Car Leasing Brooklyn, because our overhead costs are so low and that translates directly into huge savings on Mazda automobiles for you! 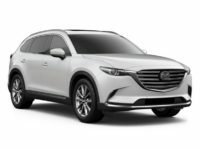 Whether your Mazda car lease desires are for a Mazda5 Minivan, a Mazda3 Hatchback, a CX-9 SUV or a Mazda6 Sedan, Car Leasing Brooklyn has the model you want at a price that won’t be matched anywhere! 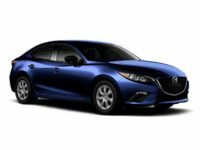 Check out our peerless selection on our Mazda stock page, or call us today! If you’ve ever leased a car before, you probably know how inconvenient it can be, visiting car lot after car lot, dealing with aggressive salespeople, filling out piles of paperwork, all in a place that’s generally far out of your way and takes time out of your busy schedule. That’s the reason why Car Leasing Brooklyn introduced our electronic leasing system, for the ultimate in Mazda car leasing convenience! Every step of the process is done online, and there are no salespeople trying to force you into a lease you don’t really want! 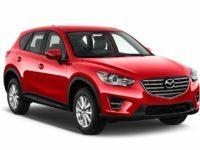 It all starts with you selecting the vehicle for your Mazda lease (the CX-5 SUV and the Mazda3 Sedan among them), so hurry to our Mazda auto lease inventory page or call us to begin the lease process that doesn’t inconvenience you at Car Leasing Brooklyn!